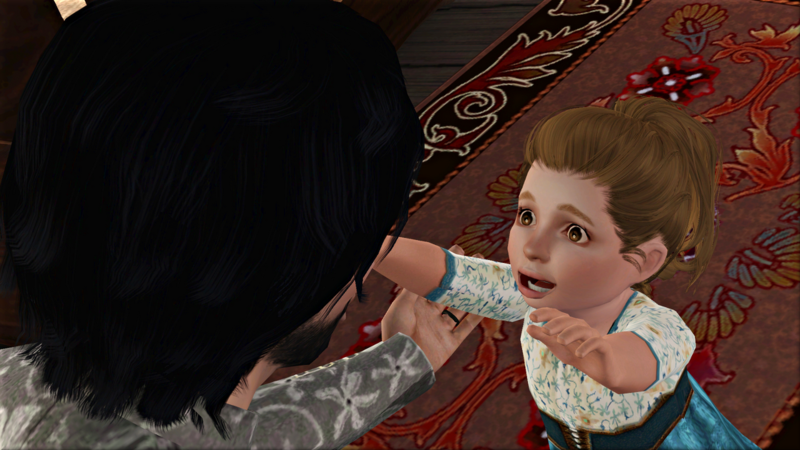 Margery has already given Thomas his first child, a little girl called Rose. A boy will surely not be far away. Rose has a little friend, her cousin Juetta Postel, who has been staying with the family since her own mother passed away last autumn. Rose and Juetta are in the daily care of their nurse Joan, the wife of one of Thomas’ tenants. 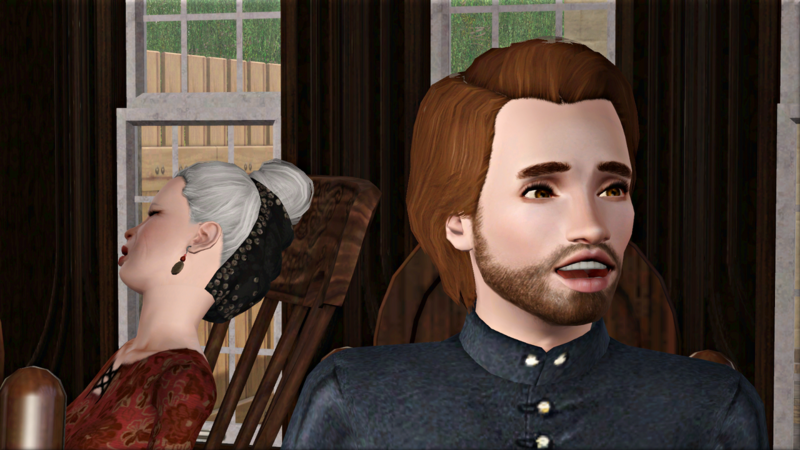 Joan’s husband has a younger brother, Ferrant, who has also come to work at Havlock Hall. There has been an addition to the upper household too, Margery’s sister Dominica, whom Ewfame has taken into her service. Ewfame has never kept her own personal servant before, but she took pity on the poor gentlewoman. 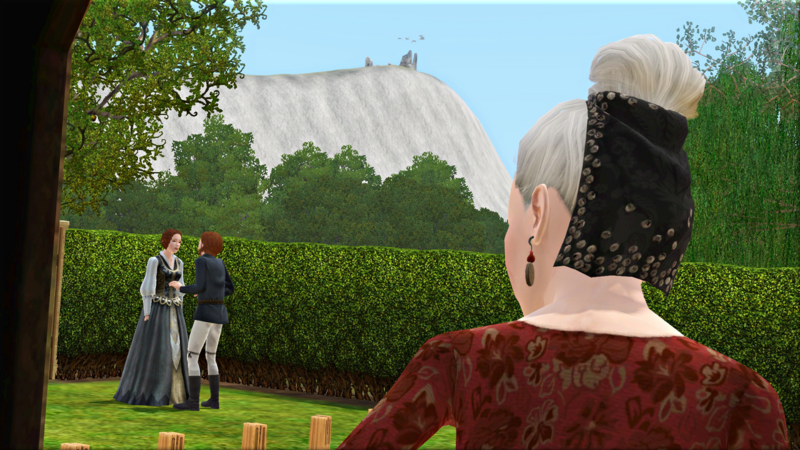 With no husband to support her, both parents passed away, and a brother not yet old enough to inherit the family manor, Dominica had little choice but to accept the position. Margery is happy to have one of her sisters living under the same roof. 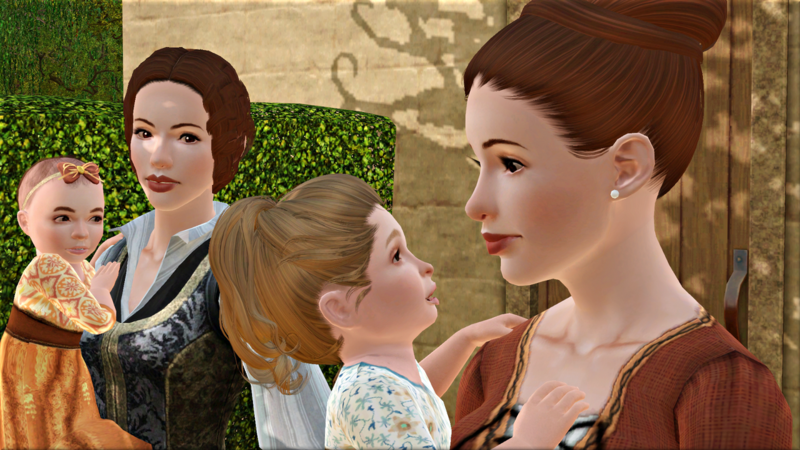 And it is nice for Rose and Juetta to be able to spend so much time with their aunt. As for Ewfame, Dominica has already become indispensable to her. She loves to hear her read aloud—poetry, sermons, history, anything but satire. Dominica favours romance, and her mistress is happy to indulge her choice. Secretly, Ewfame is pleased to have the excuse to listen to the tales she cherished in her youth, of brave and faithful knights with their noble ladies. When Dominica sings, that is all love songs too. She has a beautiful voice, and often entertains them this way, while Thomas and Margery play games in the garden. Dominica is a pretty girl, with pale, rosy skin, a slender waist, and fine high brow. All this, Ferrant has clearly noticed. Ewfame has caught him more than once, gaping at her gentlewoman, only to lower his face in shame when his eyes met his mistress’. At supper one night, while Ferrant is serving the nectar, Ewfame decides to ask him whether there is a special girl waiting at home for him in the village. He tells her there is not, only two sisters and a brother. A vigorous young man like that should have a sweetheart, Ewfame thinks—someone to spend his wages on, and give him hope for the future, and keep his eyes from wandering to gentlemen’s daughters. Her children’s old nurse has a daughter, Anne, of about Ferrant’s age; perhaps if they were thrown in one another’s way they might take a liking to one another. Every day after that, Ewfame sends Ferrant out to buy honey from Anne’s brother. In the mean time, she keeps Dominica close by her side. At night, they share a bed. She has plans in motion to find a husband for Dominica, too. Ewfame does not see why her gentlewoman should marry any less well than her sisters: Alice, the eldest and prettiest, to a landed knight of Effenmont; Felicia, the middle child, to his neighbor, a landed gentleman; Margery, the youngest, to Ewfame’s own Thomas; and Beatrice, the Watcher rest her soul, to Lord Burdley’s brother John Postel. Ewfame has a dear friend in Advorton, Alice Rostand, a justice’s wife with three grown sons, all as yet unmarried. She and Alice have exchanged letters almost every week since they met seven years ago. To Ewfame’s great sadness, the they are unlikely ever to see one another face to face again. The distance between Advorton and Snordwich is simply too great for either of them to manage, now they are both past their prime. Still, in every letter, Ewfame reminds her friend of how welcome any of her family would be at Havlock Hall. Indeed, the boys have been their guests a few times now, usually on their way to visit university friends in Effenmont. In this week’s letter, Ewfame renews her customary invitation, and also tells Alice about the young, unmarried gentlewoman staying with her. She cannot praise Dominica as she would like, not with the young woman herself penning the letter for her; but she believes that Alice will understand her meaning. Dominica takes dictation of all of Ewfame’s letters these days. Ewfame’s eyesight is not what it was even half a year ago, and she cannot sit long in one place without having to get up to stretch her legs. She finds herself tiring more easily too. A nap between lunch and evensong has become a standard part of her routine. With Dominica’s aid, Ewfame is able to send out many letters, to the wives and mothers of Thomas’ friends, to the Clerinell girls in Effenmont, and occasionally to friends-of-friends she has never even met. They exchange gossip, anecdotes, and shorts poems and prayers. Ewfame knows she would never have been able to form friendships with these women without her gentlewoman’s mediation. She would have misunderstood them, offended them, bored them. But Dominica, like all the Clerinell girls, always knows just what to say. The letters that please Ewfame the most are from her own daughter Hilith. Hileth lives on the other side of Snordwich with her husband Sir Simon Bonel. Only a year and a half into their marriage, the couple have five children already, three girls and two boys: Ivetta, Albreda, Elias, Cvenild, and Nicholas. Ewfame wishes she could see more of her daughter and grandchildren. But this week she has something special to look forward to: Hileth and Sir Simon will be bringing the two eldest—Ivetta and Albreda—to visit, and staying until at least the Feast of the First Fruits. Margery and Dominica often receive correspondence too, from Hileth herself, or from one of their sisters. Less frequent are letters from their young brother Richard, currently in Burdley with Lord Snordwich. Whenever Thomas is out hunting with Juetta’s father John, the women like to sit together and catch up upon the latest news. Once the summer berries have come in, they start to make the year’s nectar together too. 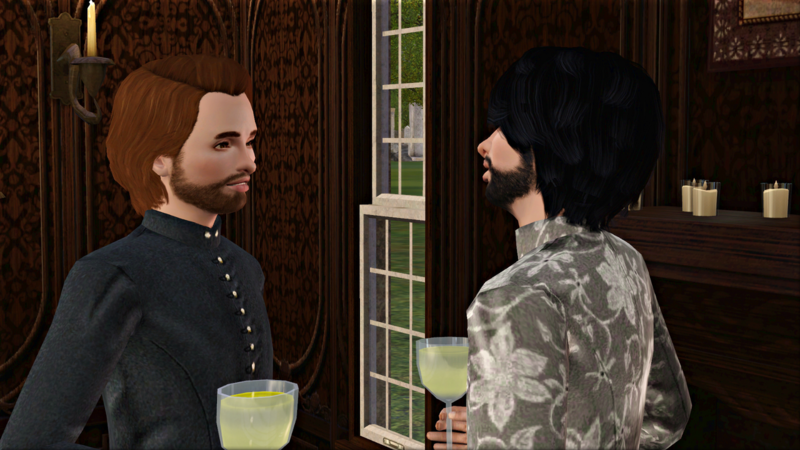 Thomas and John tend to round off their hunting trips with supper at Walstock Hall, but occasionally John is their guest at Havlock instead. When he does visit, he brings gifts for his daughter. Thomas is deeply fond of John, Ewfame can tell. He is so much like his father in that way, always needing friends about him to keep his spirits up. In looks, though, Thomas only a little resembles Ewfame’s late husband; his face is much more the picture of her own father’s. She wonders how Ivetta and Albreda will look; they surely will have grown since she saw them last. On Saturday morning, the children arrive with their parents. Ewfame is overjoyed to see them all. The differences between the two girls are immediately apparent. Ivetta is lively, and hungry for her grandmother’s attention and approval. Her younger sister Albreda is shyer. 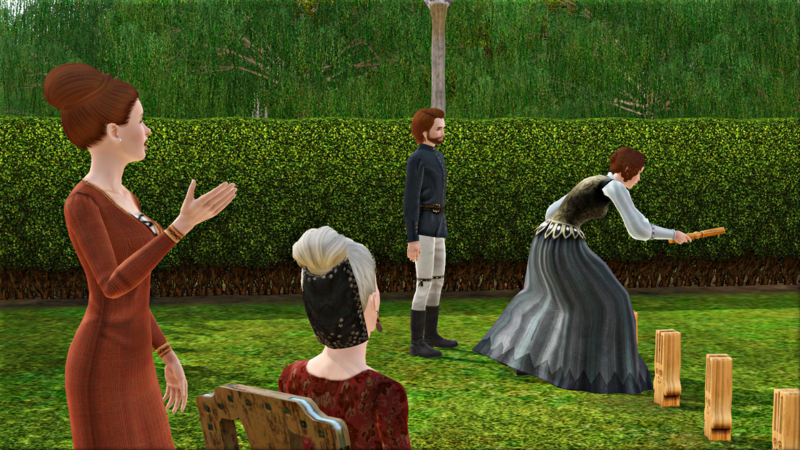 Margery and Dominica talk excitedly with Hilith. Hilith coos over little Rose. Tears well up in her eyes when she sees Juetta. Beatrice, Juetta’s late mother, was a cherished friend. Ewfame feels blessed to have so much of her beloved family there with her. Feeling perfectly at ease, she falls quietly asleep in her chair. I just love Ewfame, it’s so nice to see how life carries on for her. Ferrant and Dominica would be a handsome couple! Too bad the rules keep them apart. I wonder if Ferrant will act on his feelings anyway, though. So you like her 🙂 I’ve grown pretty attached to her too. It’s funny how certain sims grab you. Yes it definitely wouldn’t be allowed! I could always create a modern version of them and stick them in Moonlight Falls, as I have a whole town to fill there. As for their Snordwich, we’ll have to wait to see whether Dominica has noticed him too, what becomes of Ewfame’s plan to marry her off, etc. Oops meant to add this; as usual your use of create a style is phenomenal. You really stretch the limited medieval clothes we have to have so much variety. You should be fine jumping back in. 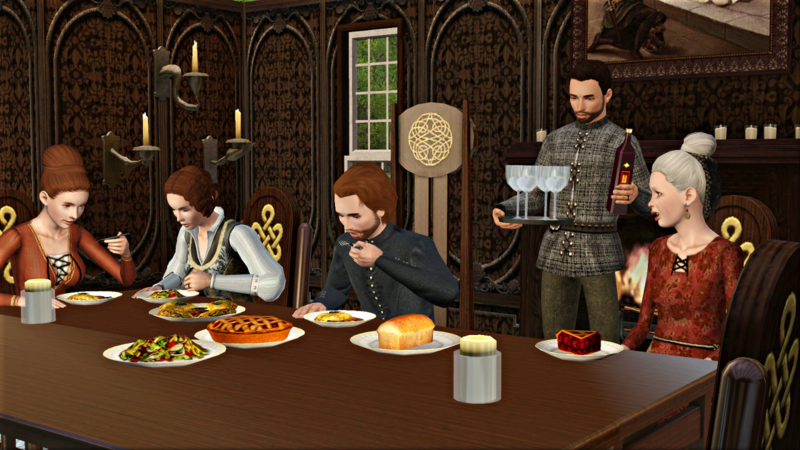 Because the parts take a long time, and because I am playing 6 households in rotation, it is often a whole year between updates for a particular family! Working with such a long gap means I try to make it clear in each part who everyone is, as I don’t expect even regular readers to remember from so long back. The whole thing ends up being more of a series of connected week-in-the-life-of shorts, which suits me fine. The Snordwich characters are pretty memorable. Oh that is nice to hear, thank you! Loved the latest chapter, of course. It’ll be interesting to watch the match-making and see how it turns out.